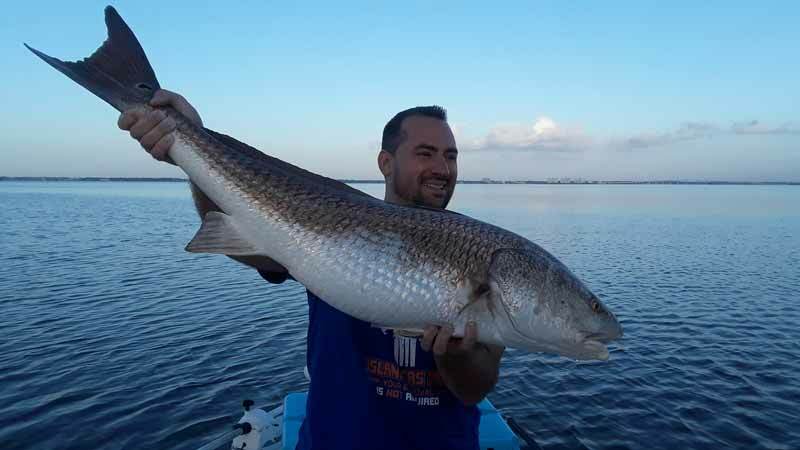 Fishing Orlando FL for Redfish during the month of October when the spawn is happening can be the best fishing Orland FL has to offer. This week has been insane good fishing during the spawn. 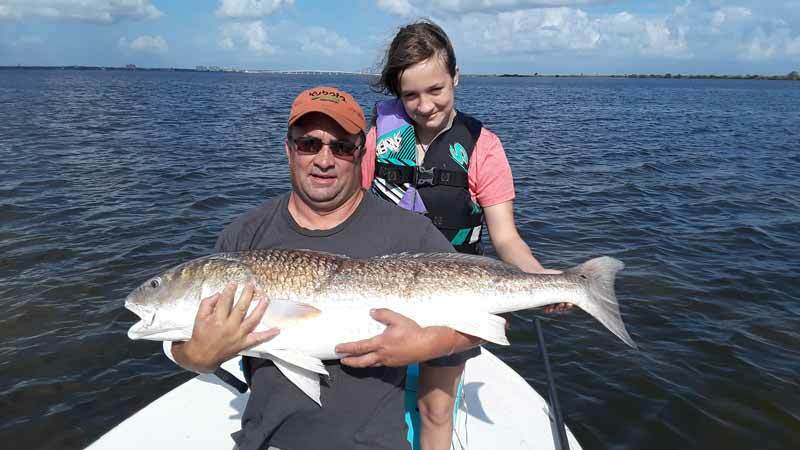 The Redfish are anywhere from 40 to 47 inches long and weighing 25 to 35 pounds. Mornings (early) have by far been the best when the winds are down and the bites on fire. 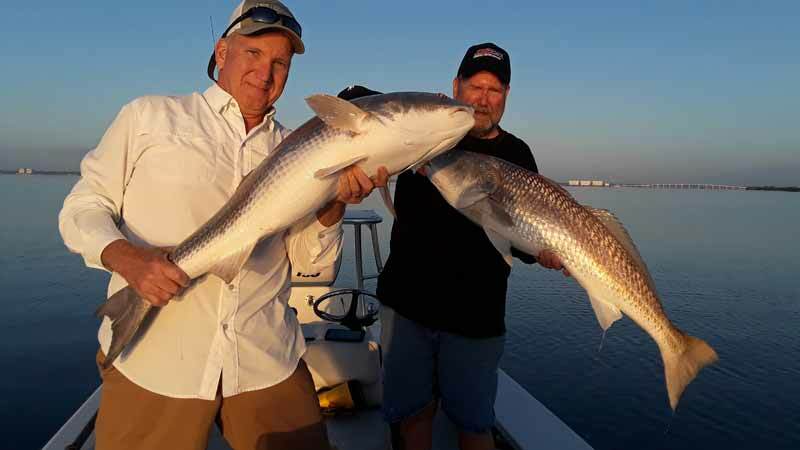 Be ready to get those arms in shape with a Redfish work out… these beasts are hard fighters. 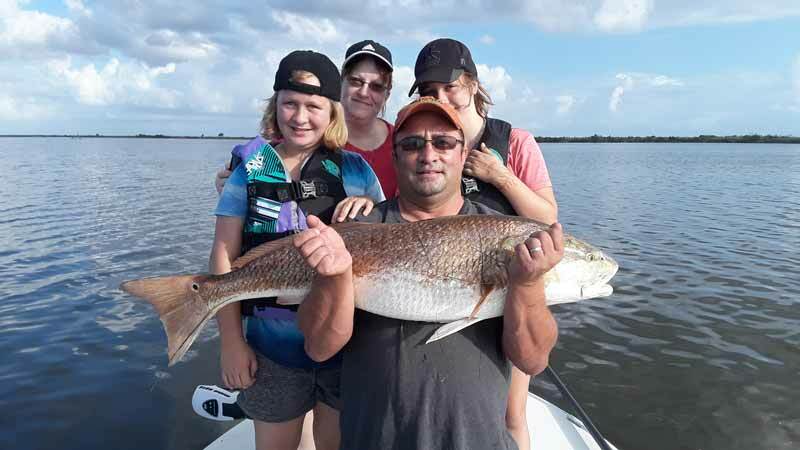 On Monday I had the please of getting this awesome family from Kentucky 4 monster Redfish on a 3 hr trip. Then on Tuesday the bite continued to be steady for 3 gentleman here on business from Orlando FL. We only only boated 3 fish that morning on the 3 hour trip but all 3 were massive! 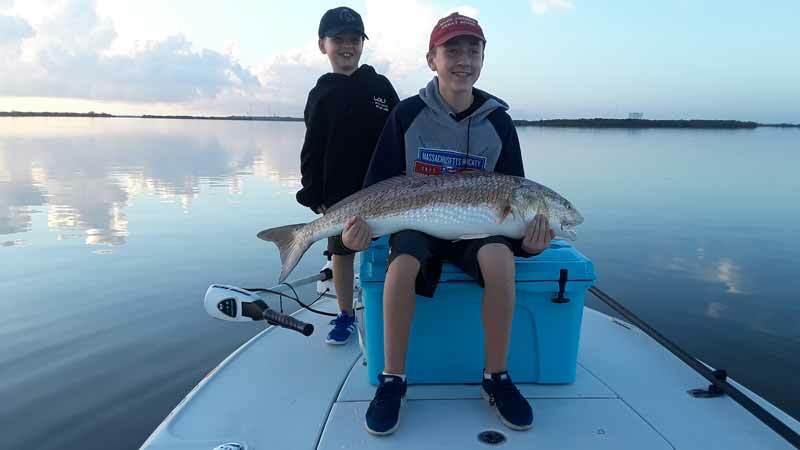 Thursday was good fun and made some long time memories for these to kids as we boated anther 4 more fish all before 9 am. The water was calm and the bite was great. Friday was by far the best bite of the week by far! Today we got onto the water at 6:30 am and had fish tailing out in front of the boat just as the sun was coming up. 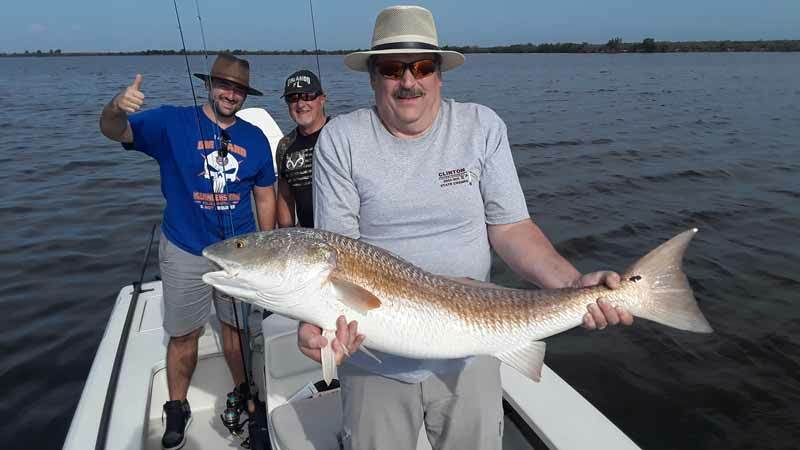 First cast resulted in a nice 40 inch redfish but as Mark was fighting his fish Bob was quickly hooked in a double redfish fight. The fish just kept circling the boat for 4 hours as we hooked into 9 fish total today and had an absolute blast!